Your heavy-duty Mack® truck came with high-performance cooling system components built for hard work and a long service life. The cooling system has a big job: controlling engine temperature, helping your engine run smoothly with good fuel efficiency, and keeping you comfortable in the cab. Because it’s at the front of the engine, even the best radiator can be damaged by long hours on the job. It can take the trained eye of a Mack-certified technician to see potential trouble spots before a blown radiator strands you on the side of the road. If you need a new aftermarket radiator, you’ll want a unit that meets Mack’s high performance standards. For example, radiators by Dura-Lite™ are reinforced in the places that are most prone to failure, and every one is leak tested before it leaves the factory. When it’s hot outside, you can drive with confidence that your radiator is up to the task. The charge air cooler (CAC) is another critical cooling system component that should be checked, especially if yours is more than two years old. The CAC ensures that the compressed air coming from the turbocharger is cooled enough before it goes into your engine. Lower fuel mileage and engine power. High soot levels in the oil. Expensive repairs like turbocharger failures. A leak test by a Mack-certified tech is the best way to tell if your CAC is doing the job. If it needs to be replaced, the Dura-Lite Evolution gives you excellent quality and an unbeatable seven-year warranty. 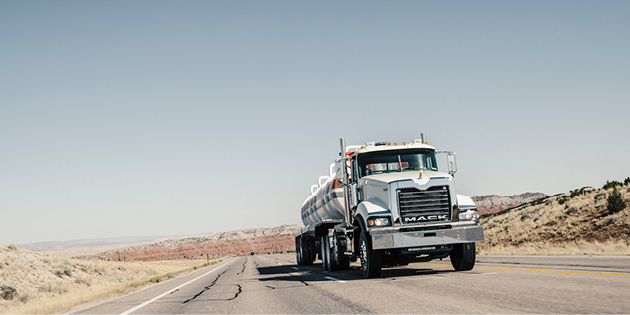 To avoid unscheduled downtime, make an appointment for a complete cooling system check with the service experts at your nearest Mack dealership. Fleet managers, ask the dealership’s Mack parts experts about ordering high quality cooling system components in bulk to stay repair ready. They have Dura-Lite radiators and CACs for every budget and every truck in your fleet. Order online through SELECT Part Store for convenience, quick delivery and regular specials on high-demand parts and supplies.